It wasn’t a good day to be a shepherd. It wasn’t a good day to be anything really. It started off very nicely. Then the sky turned black and the rain started. It was a very short day anyway and now it is night and gales are buffeting the farm and the rain is pounding against my windows. I am all cosy indoors but all of my little animals are living out there and it is just another winter’s night. 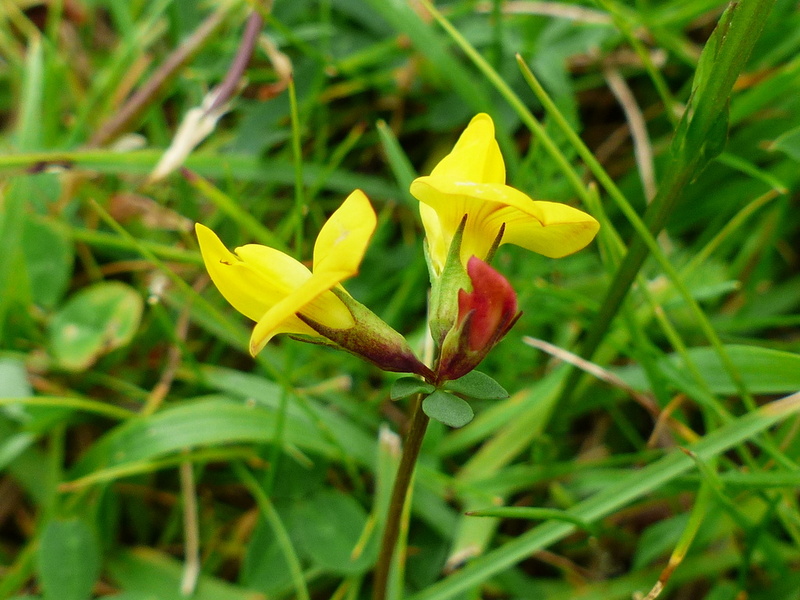 I wrote about Bird’s-foot Trefoil today and I will show you that in a bit, first I thought we could look at some moths. I would have liked to put more into my flower post but that was supposed to be about flowers. Day flying moths, some of them are just as pretty as the butterflies. This is a Speckled Yellow moth (Pseudopanthera macularia). 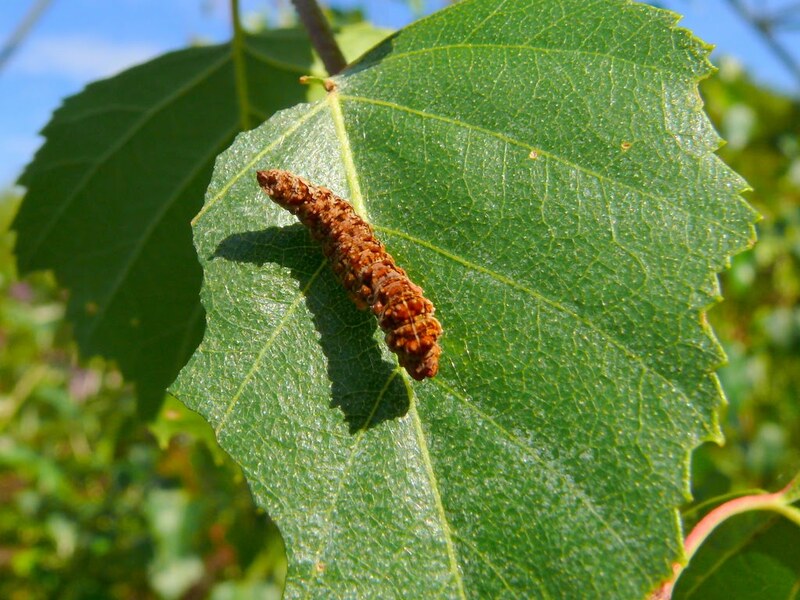 It’s caterpillars feed on Wood Sage and it is common in open woodland. This next beauty is a Green Silver-lines (Pseudoips prasinana). Another woodland moth, this one favours Oak and Birch trees. This next one isn’t a moth at all, yet but it will be. It looks a bit like an old Birch catkin. 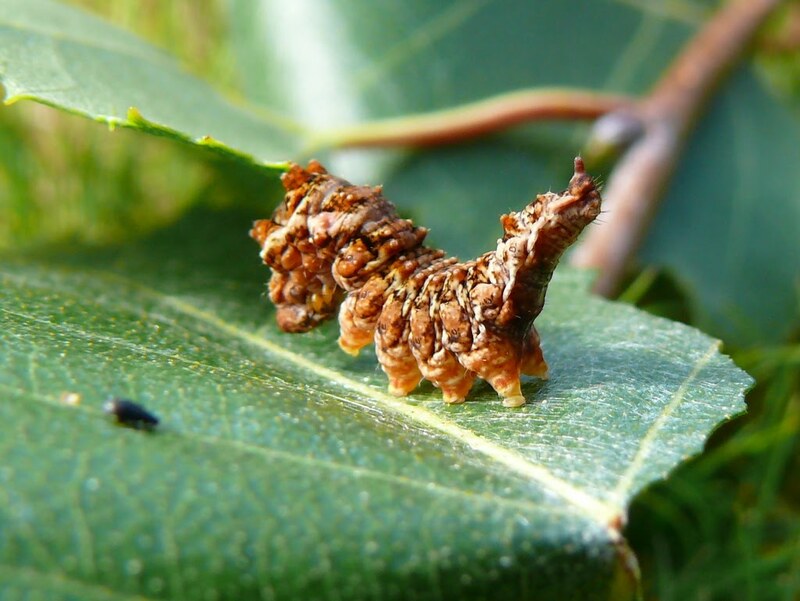 This is the caterpillar of a Scalloped Hook-tip Moth ( Falcaria lacertinaria) and it feeds on Birch, naturally. 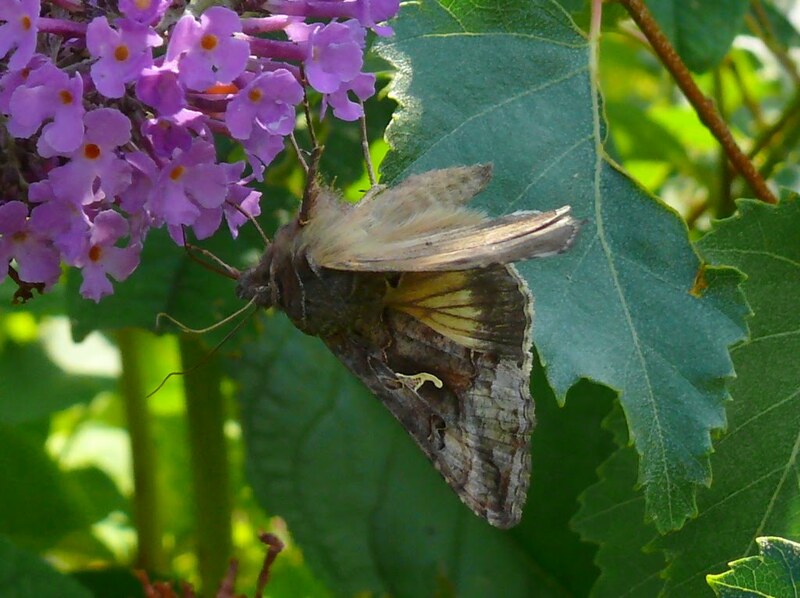 This next one is called a Silver Y moth (Autographa gamma) , try and guess Y. 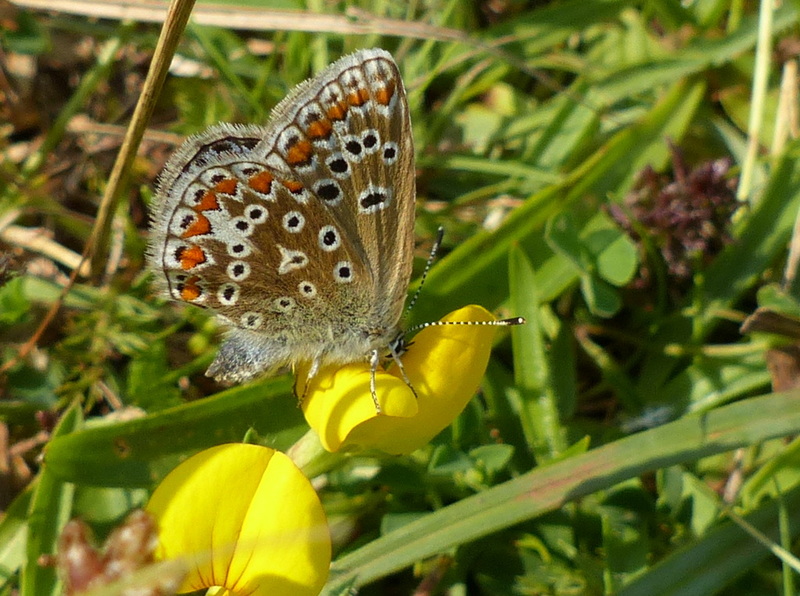 This is a summer visitor arriving in the UK from May onwards it comes from Southern Europe. 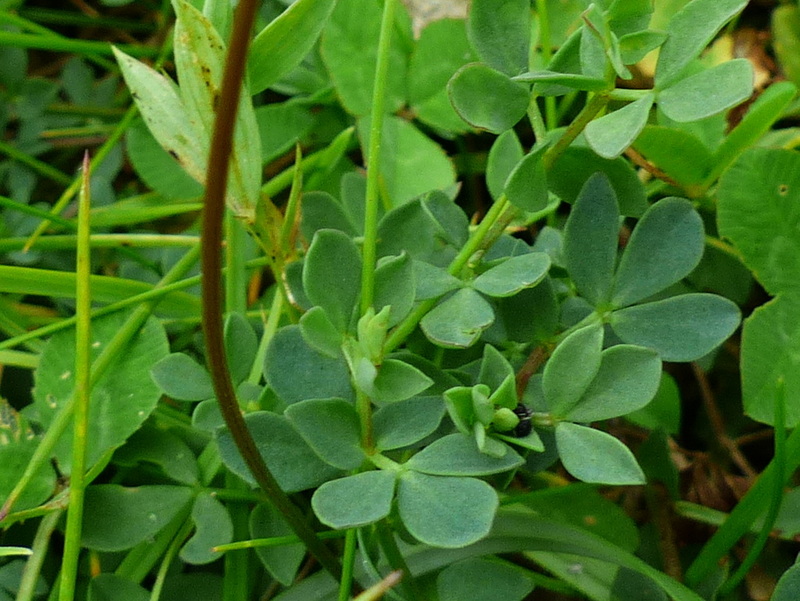 It is not a fussy eater, Bedstraws, Nettles, Clovers, it also likes Peas and Cabbage. If we have another day like today then I will post more moths tomorrow. Here are my flowers. 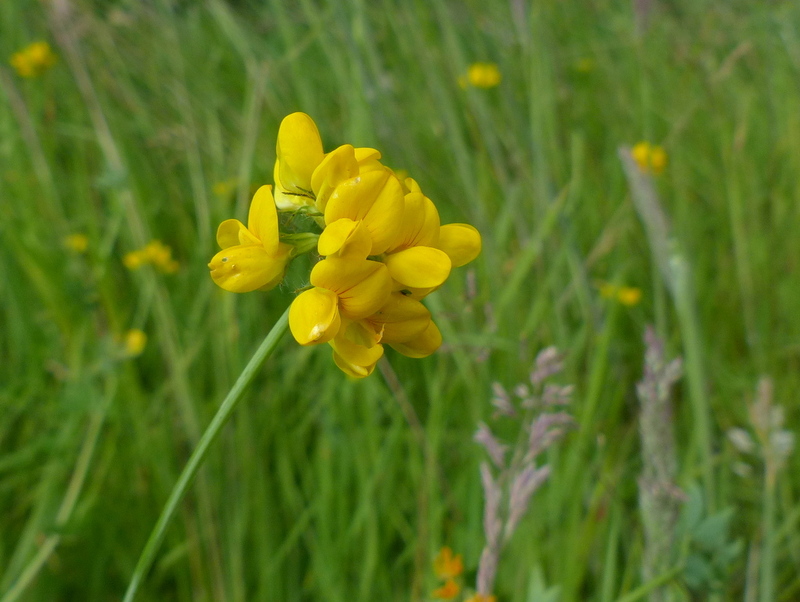 Lotus corniculatus, The Bird’s-foot Trefoil. 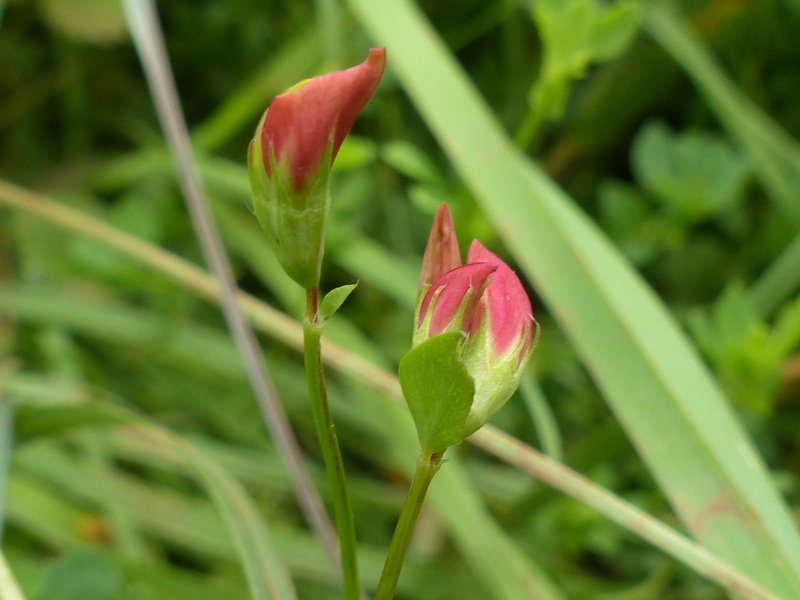 This is a flower of grassland. 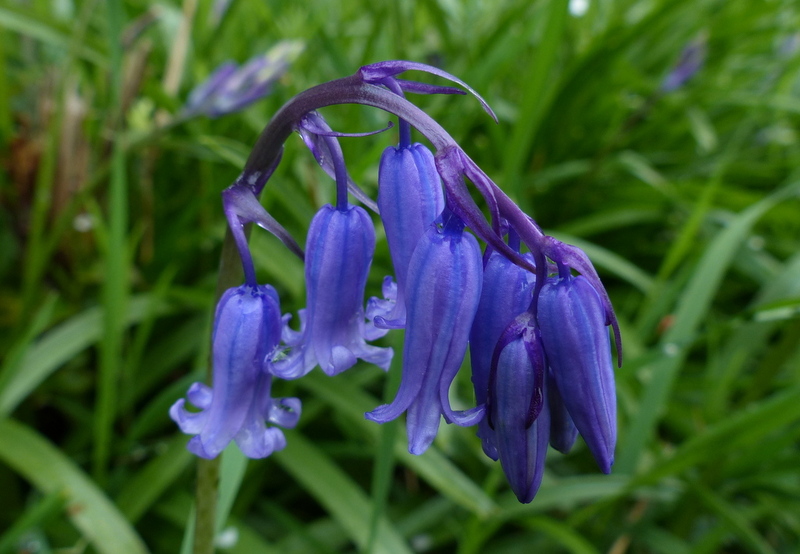 It grows in meadows and on heaths in forest rides and if you are very lucky, in your garden. 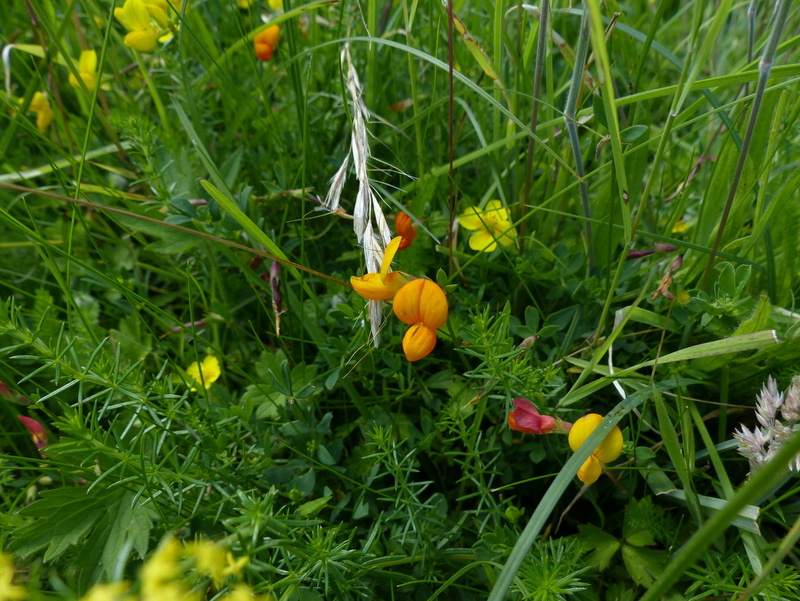 Bird’s-foot Trefoil is very variable in size. Amongst short grass the small flowers may be just inches off the ground. 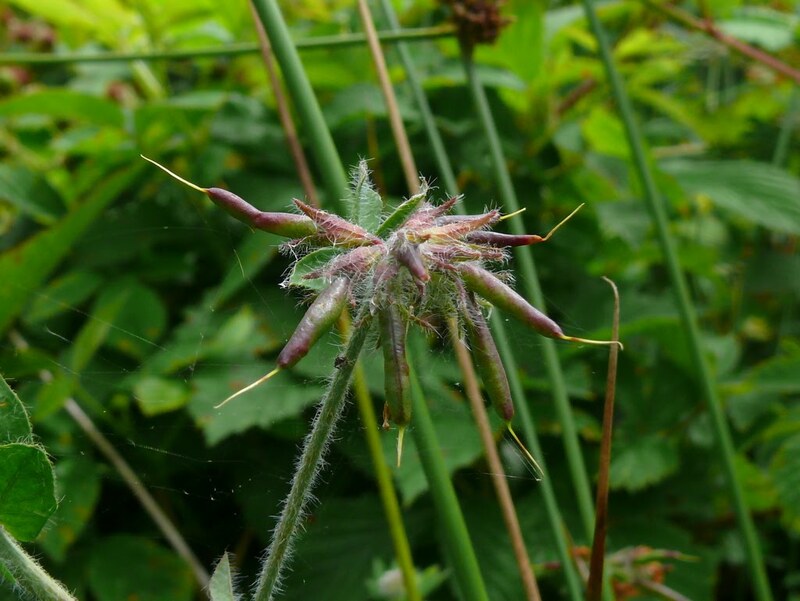 In long grass it can grow to about twenty inches. It seems to be able to flower at whatever height the surrounding plants are rising to. 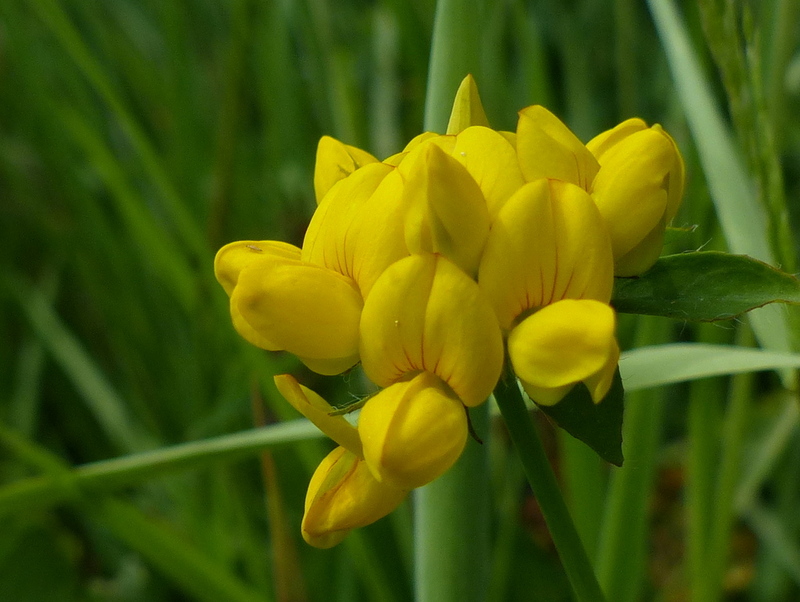 In many parts of the world Bird’s-foot Trefoil is grown as an animal fodder and I read that it can yield up to four tons of hay per acre. 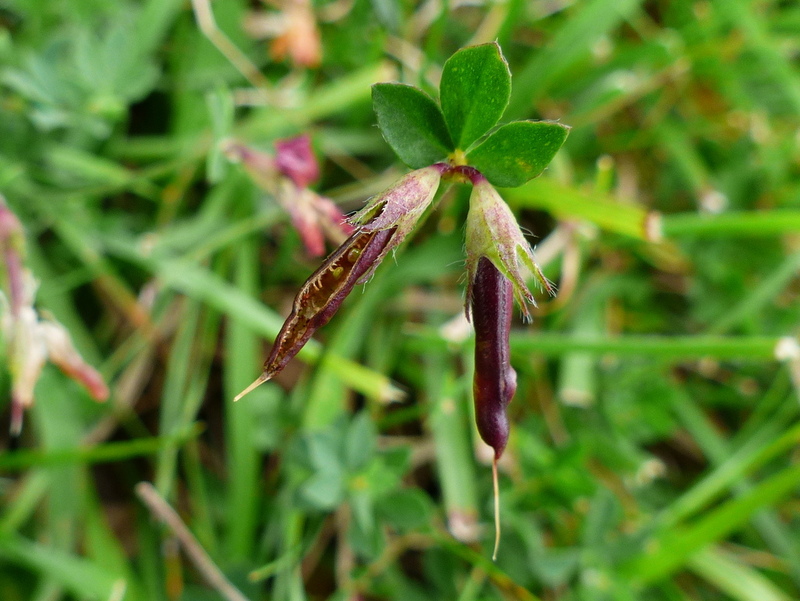 That is difficult to comprehend when you see the tiny flowers growing in short cropped grass. 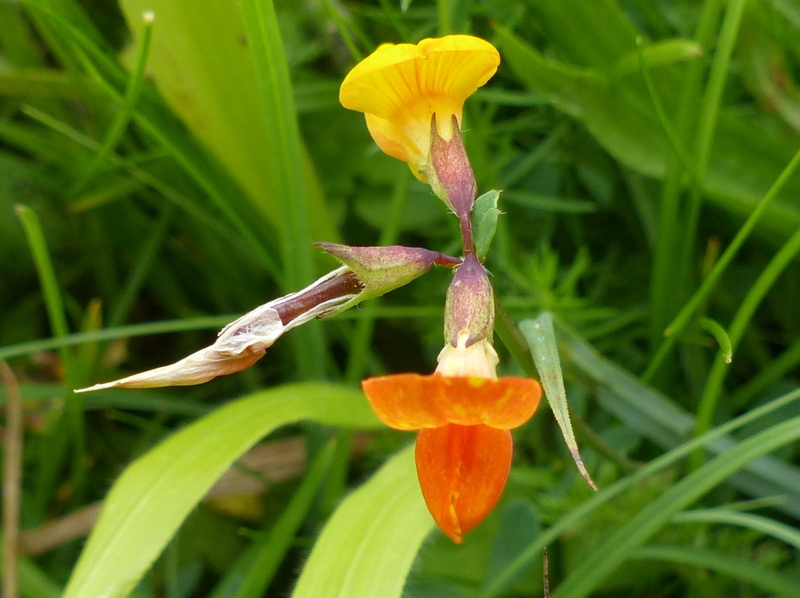 The name Bird’s-foot comes from the seed pods which are claw like and resemble a Bird’s foot. 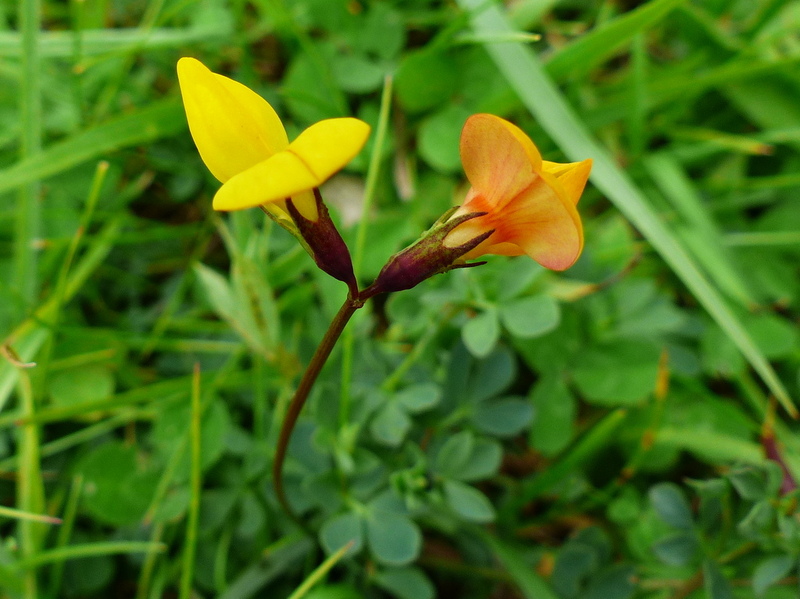 Another popular name for this plant is Granny’s Toenails. 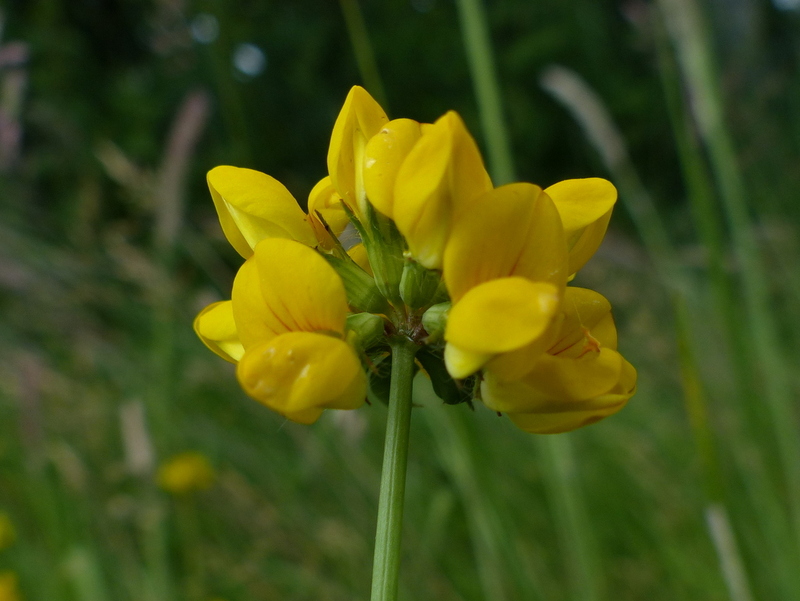 The Trefoil part of the name is a reference to the leaves. 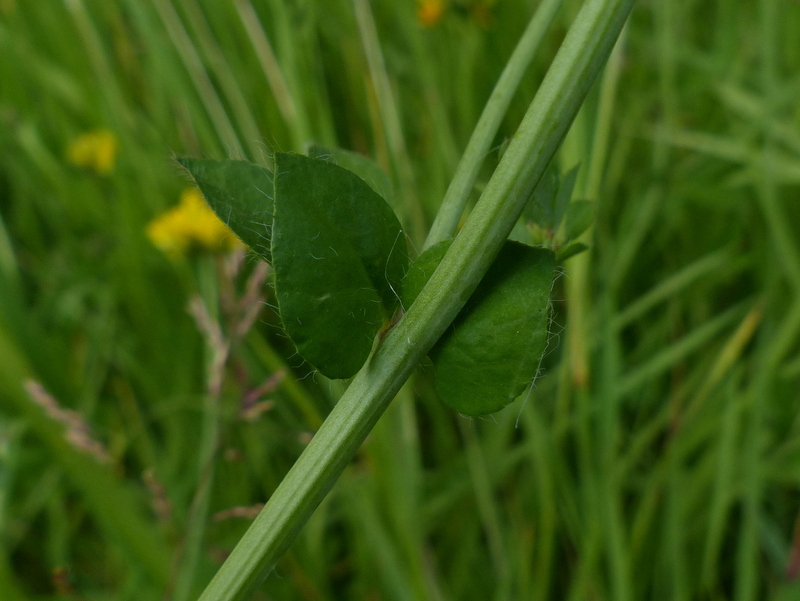 Each leaf is actually made up of five leaflets but two of these are at the base of the mid rib and the remaining three form the trefoil at the end of the leaf. 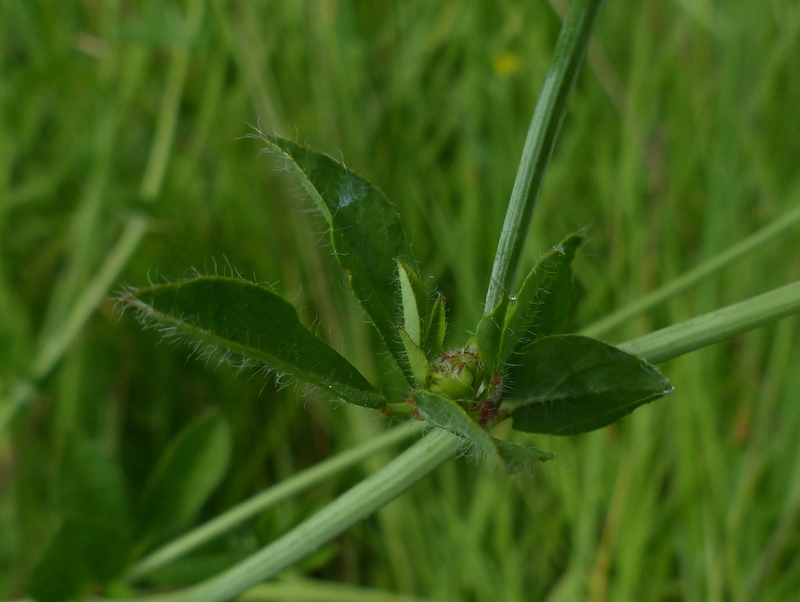 New buds continually form and grow from the centre of existing leaves, which makes it difficult to study the form and shape of the plant. It has a squarish stem. 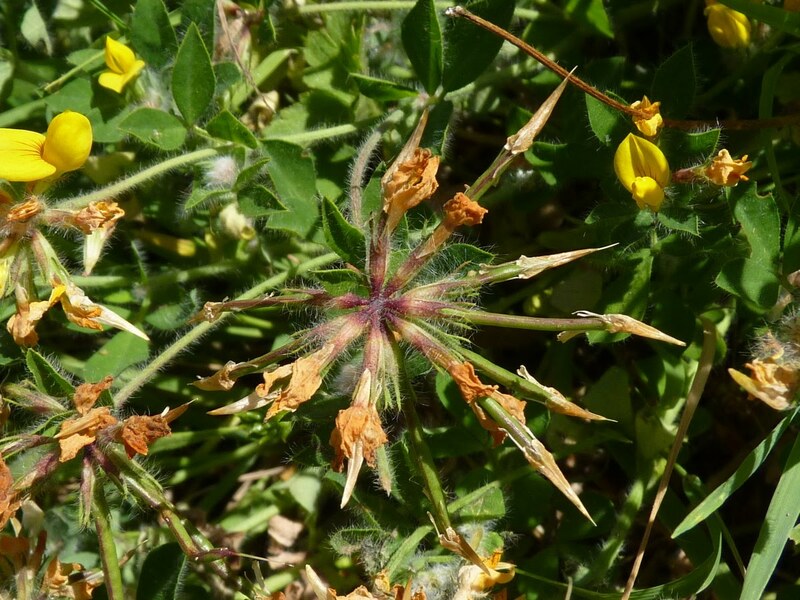 It also has a very deep tap root (up to three feet deep) that allows it to thrive on poorer soils. 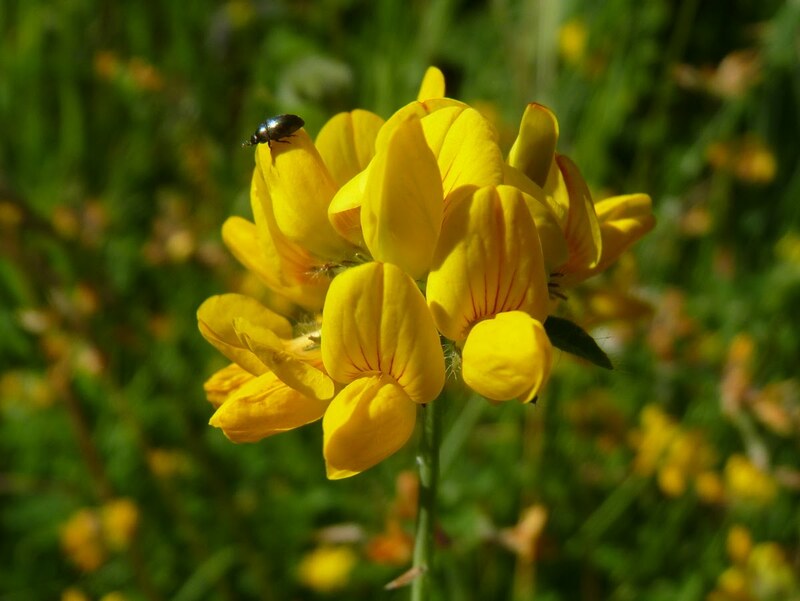 Bird’s-foot Trefoil is a very important wildlife plant and as such a wonderful addition to any garden. 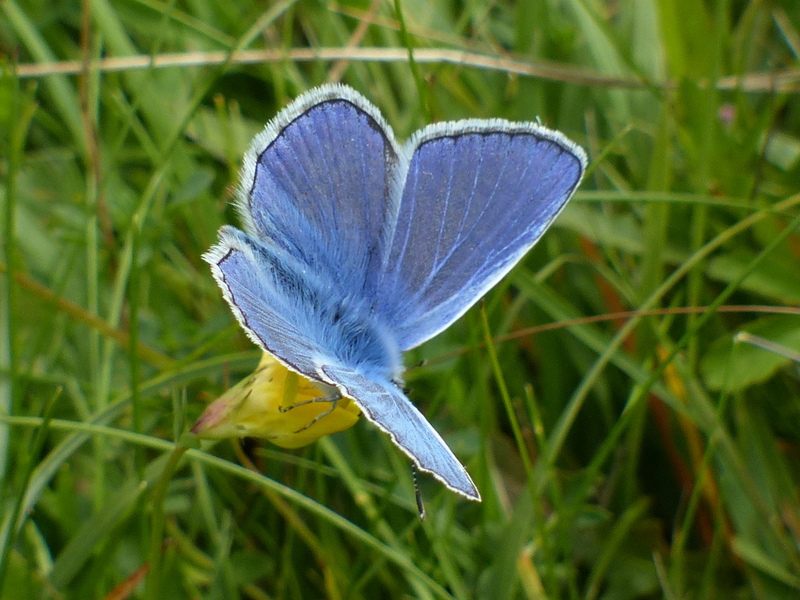 It is especially valuable as a larval food plant for many of our most beautiful Moths and Butterflies including the Dingy Skipper, Green Hairstreak, Silver Studded Blue and these Common Blues. 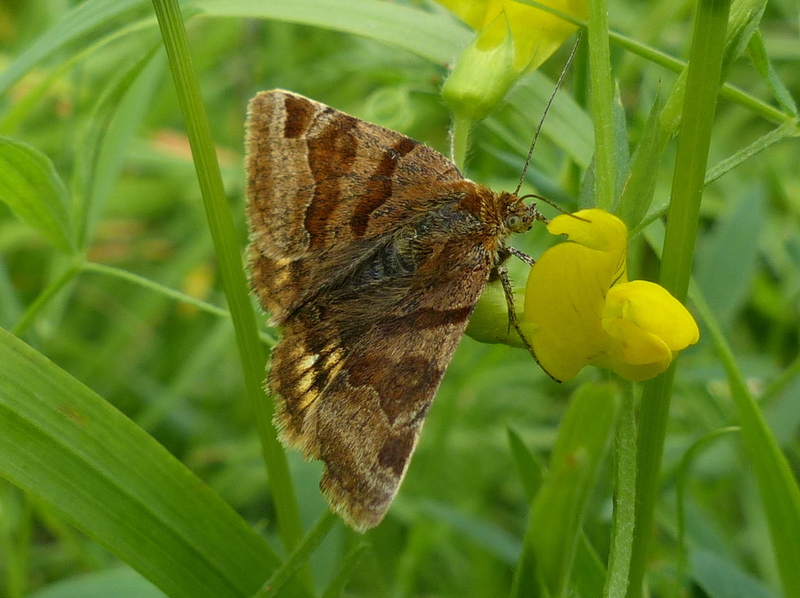 Amongst the Moths it is a larval food plant for the Six-spot Burnet and for this next one the Burnet Companion. 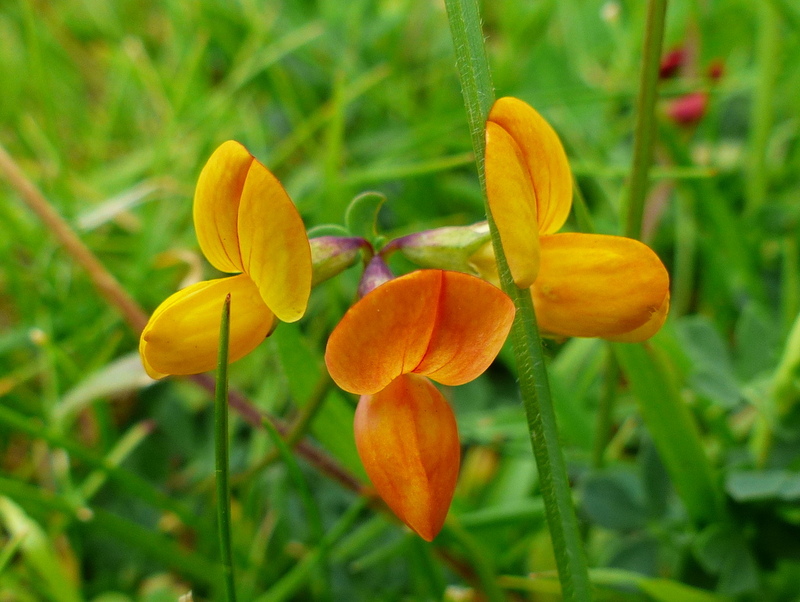 The Bird’s-foot Trefoil is a member of the Pea family, known as the Fabaceae and sometimes by the older name of the Leguminosae. 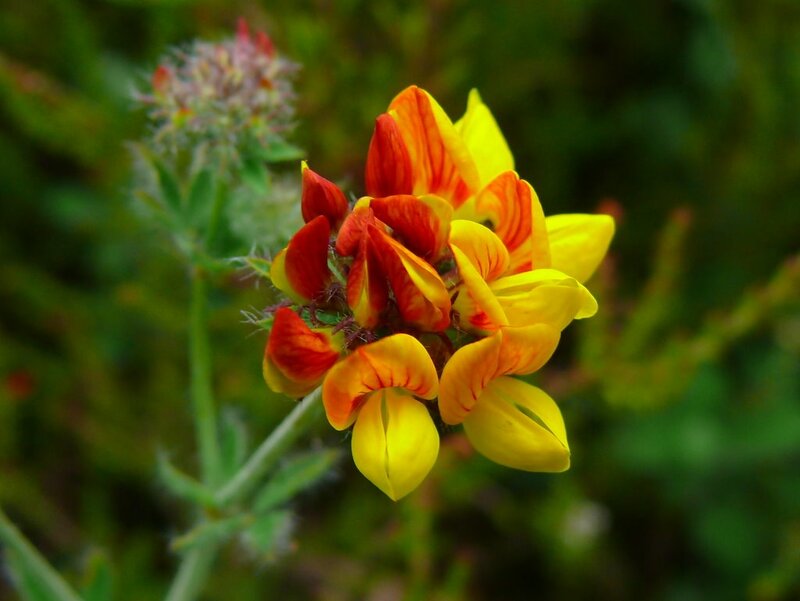 It is native to the UK, Eurasia and North Africa. Lovely, lovely! 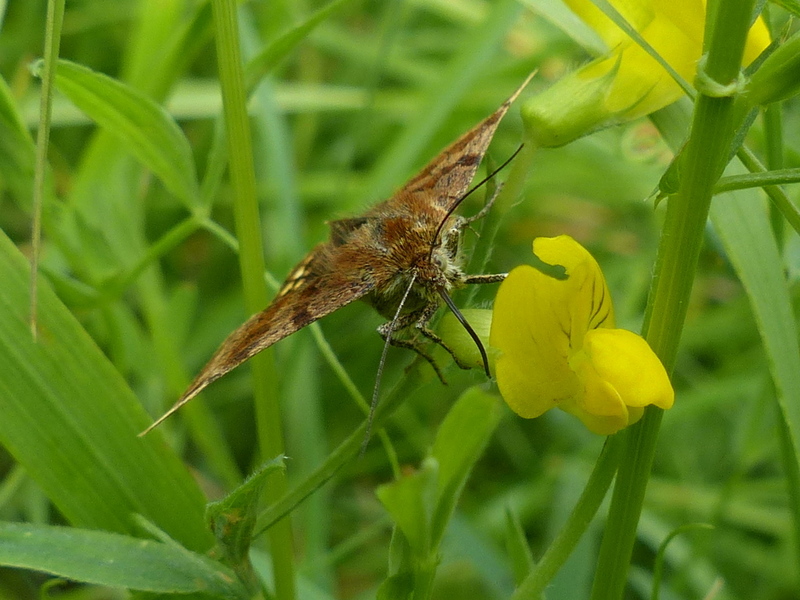 A joy to look at beautiful moths and flowers while listening to wind and rain buffeting our house too. Thanks Clare 🙂 We are getting lots of bad weather but also we are getting some really nice days. It has been day on/day off for the last week. I hope that you are getting some of the sunshine too. Yes thank-you, we have seen some sun at last and have even had a couple of hard frosts with ice on our pond. Thank you Virginia 🙂 It won’t be long. I am expecting Snowdrops in January. Very enjoyable and interesting reading. Your photos if the Green Silver-lines was really interesting. I’m wondering if there is anything in its habitat that would cause it to have that fluffy part at its head. Do you know if helps him blend in somewhere? Thanks David, a very interesting question 🙂 I don’t know, I don’t think science knows. Two things that I do know though. 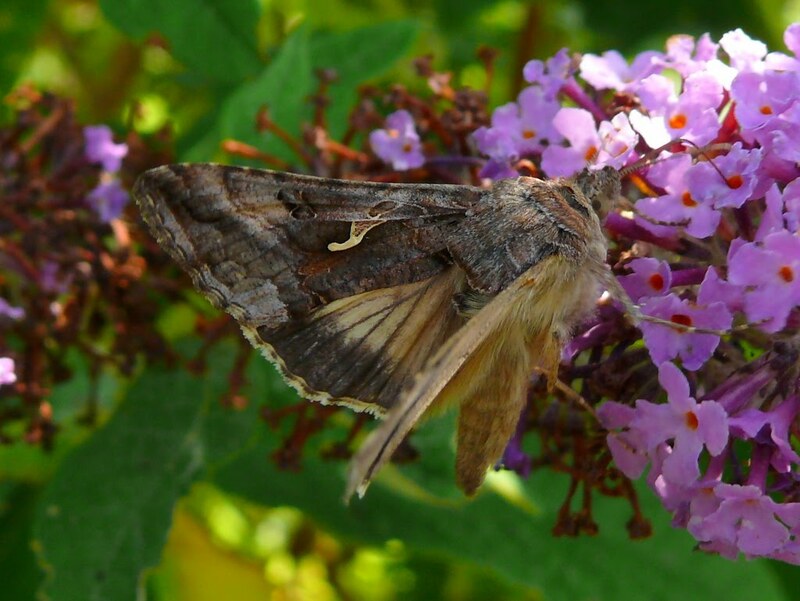 1) Moths have ears and they are located on the top surface of the thorax and hidden by that tuft of hair. 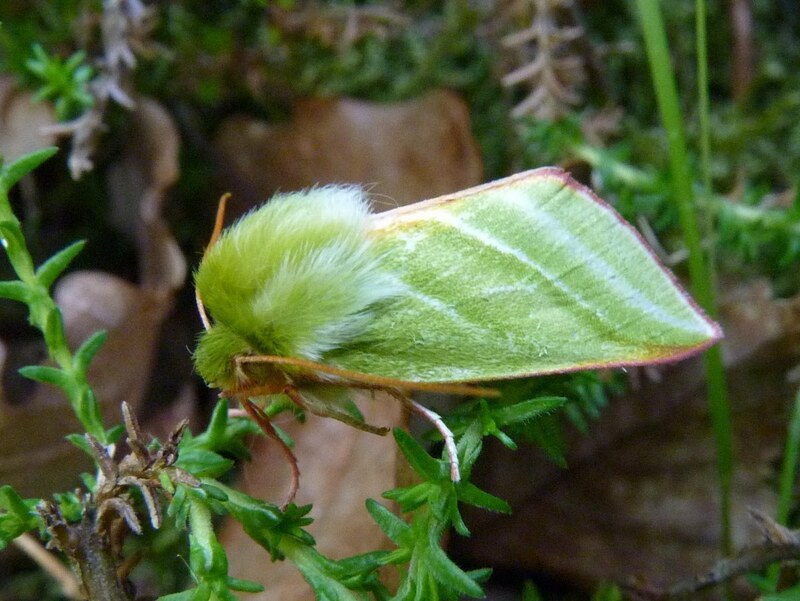 2) The Green Silver-lines moth has a special “Tymbal” organ that makes sounds. 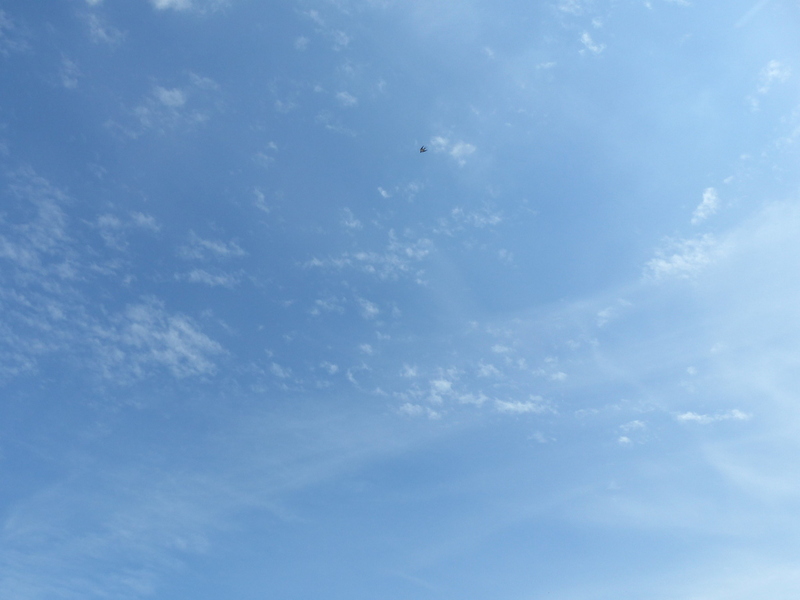 It clicks as it flies. Tymbal organ link. Weather and daylight hours seem a bit grim back in UK. Love the info on moths. Still a 10 hours of daylight in Southern Spain. Thank you Georgina 🙂 Southern Spain sounds nice just now. 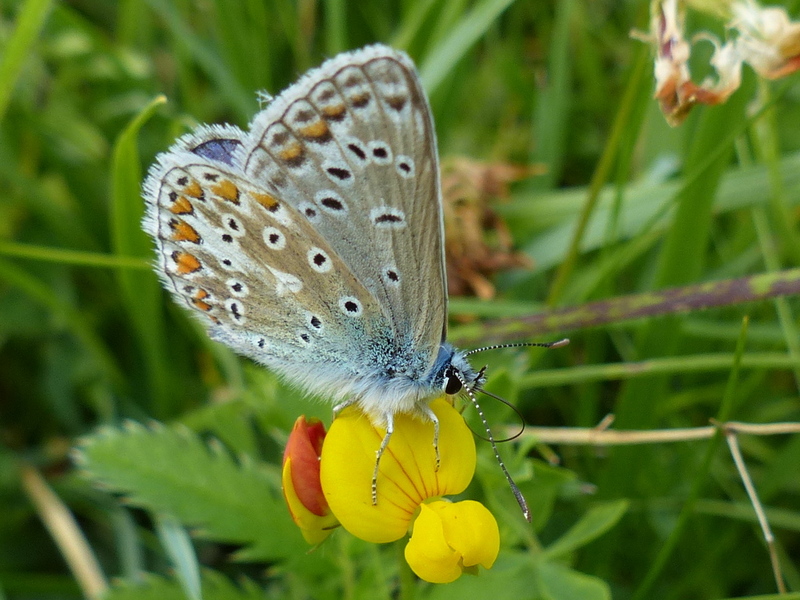 Your Common Blues and the Green Silver-lines, wow, you have the most amazing looking insects there. Very good blog. 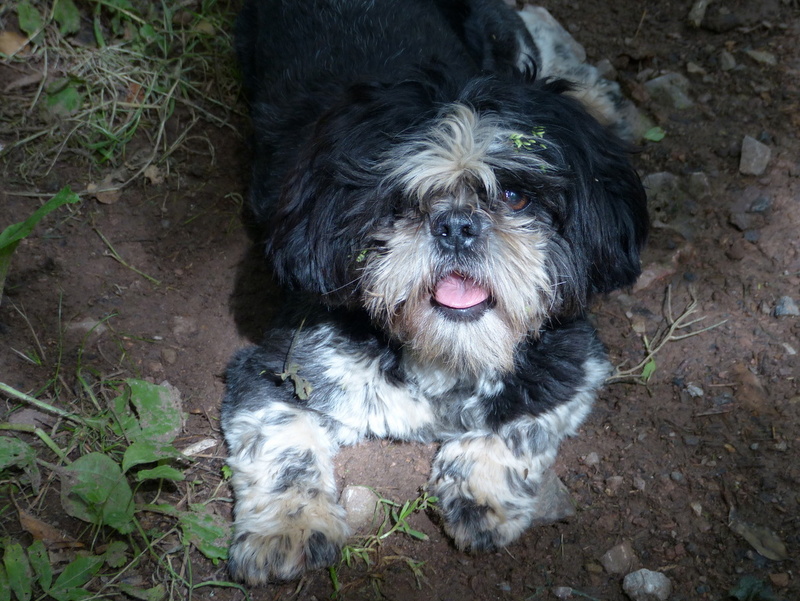 You are quite good at using humor, photos, your dog to make Botany interesting. This is all whetting my appetite for next year. Good to see some old favourite moths. Shame about the weather. Thank you Andrew 🙂 I am looking forward to seeing Lulu get muddy. 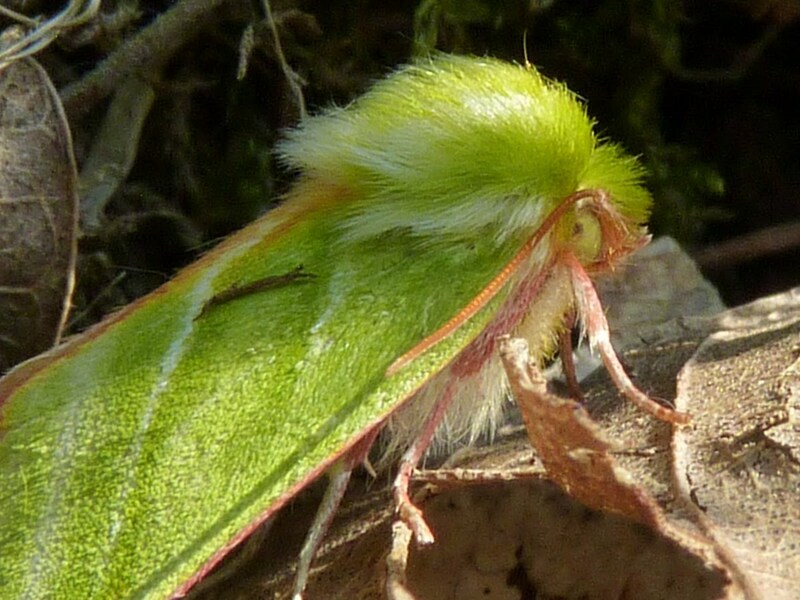 Truly beautiful moths that I have never, ever seen and probably never will, except on your fabulous blog. Lovely flowers as well. Yes about fodder crops. The Australian govt is doing a lot to develop it. 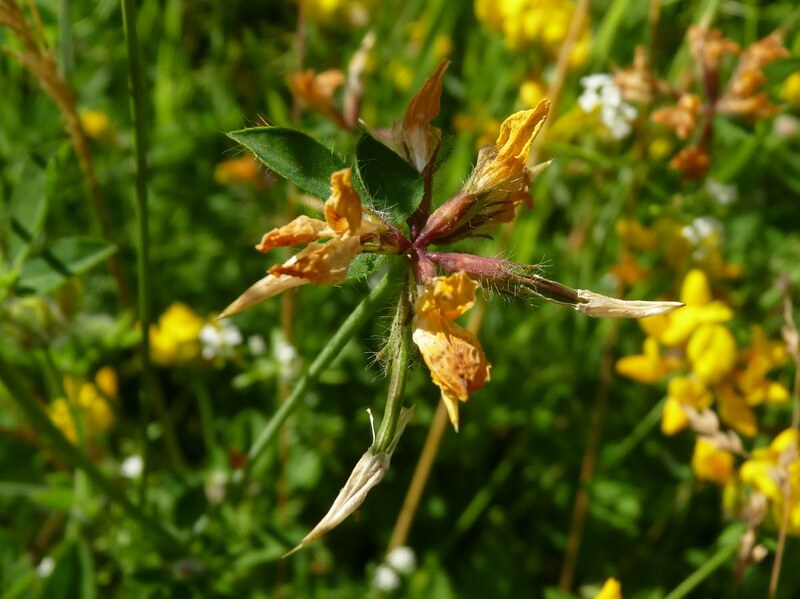 And because Bird’s-foot Trefoil is a legume it fixes nitrogen so it helps the soil especially if it is planted with non-legumes. OK you Luddite, The whole bloody world is into monoculture. Monsanto and canola and roundup rules the world. A little bit of diversity is like a cord holding my place in the dark. Thanks Stephanie 🙂 I don’t actually know anyone who calls it Bacon and Eggs. Maybe I should ask my landlord. It is still listed as a common name. Great sky shot, we had a fabulous orange sky yesterday morning. I’ve not seen most of those moths. Thank you Stephen 🙂 They are all day flying moths, the sort of thing that you could bump into on a summer’s walk. La natura disegan in maniera favolosa! Bravo tu a cogliere questi momenti. 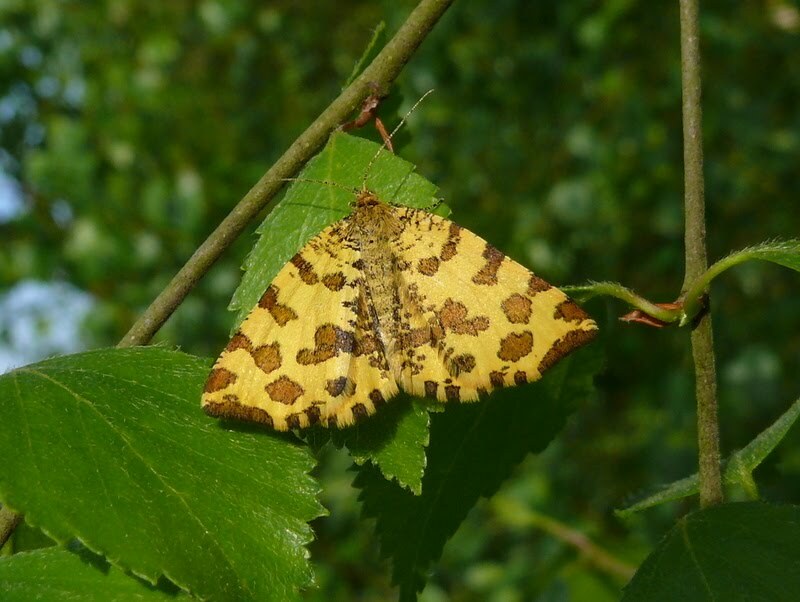 Great photo of the specked yellow moth. A moth I’ve frequently seen but failed to get a decent shot of. Thank you Marc 🙂 I used to see a lot of them when I lived in Sussex. I haven’t seen any here yet. Thank you Sharon 🙂 It looks like we have got another bad one today but we are getting plenty of good days in the middle of our bomb. Oh my, the first photo in this post took my breath away! 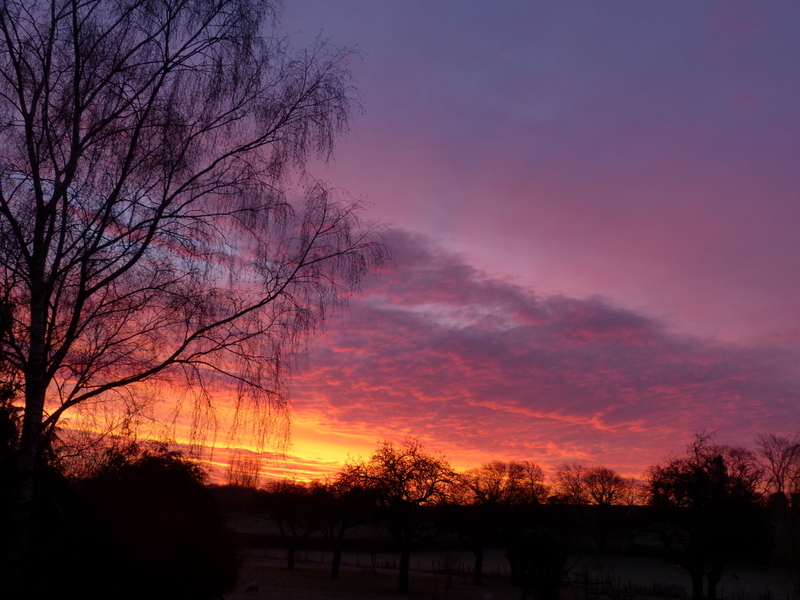 Thank you Barbara 🙂 It was one of those sunrises that just gets you reaching for the camera. Another great blog. 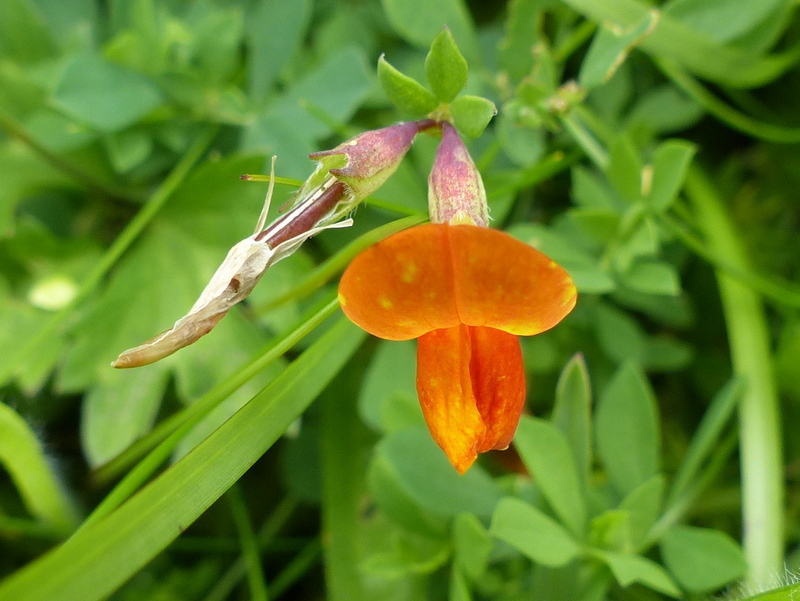 Flowers and moths…all beautiful..and new to me. Education 101. Thank you. 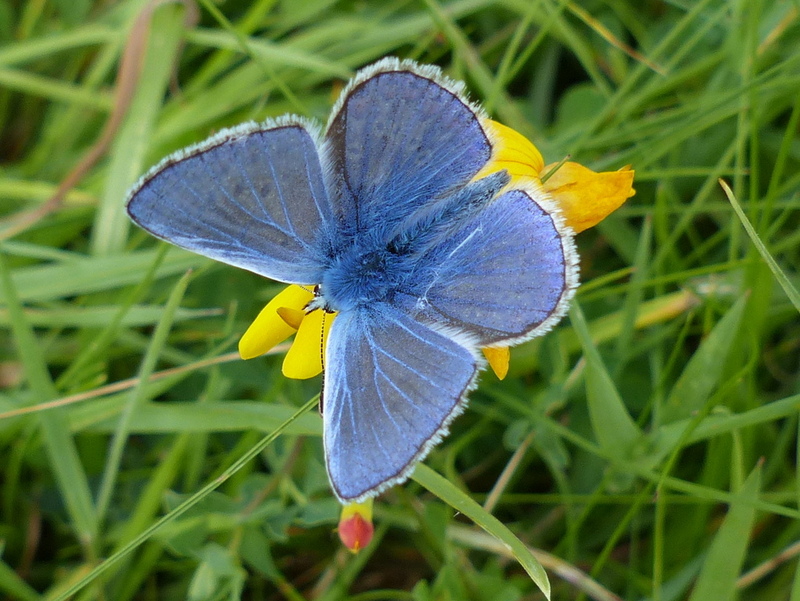 What a beautiful blue moth.. .
Another wonderful, and very educational day, even spent indoors. I thank-you for both you time and your consideration, as well as your dedication to your Blog. Your photos are so detailed – truly the best insect photos I’ve ever seen! The Green Silverlines should be called Green Lion – it looks like a mane. Fantastic insect! 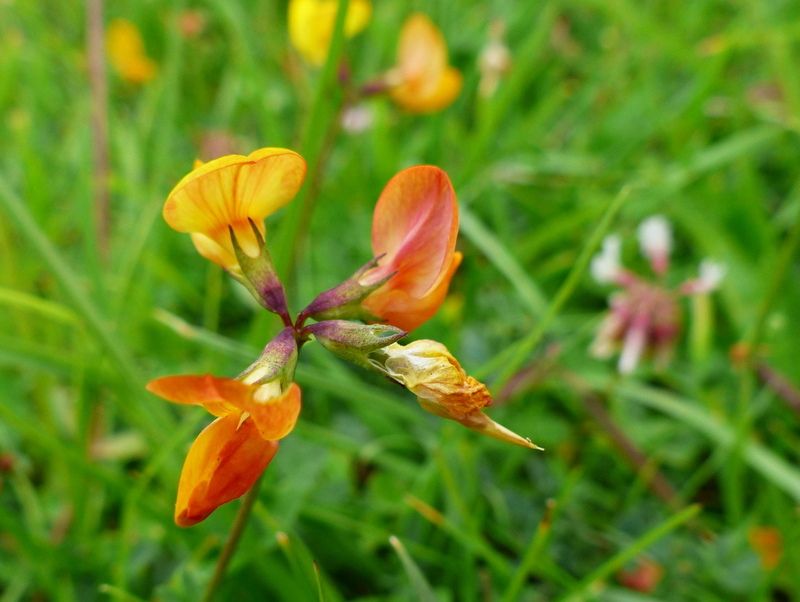 Lovely the bicolor orange/yellow on the trefoil – makes me wish I had some here in my fields. I love the knowledge you share, you make it interesting and fun. Thanks so much, Colin! Thank you Eliza 🙂 We all know the butterflies but moths are a constant surprise, there are so many of them and some of them are extraordinary 🙂 Glad you like them. So many names of plants I’ve never heard of. Fascinating. Then I realized! No Fizz. Had to backtrack but alas….However everything else was wonderful anyway.